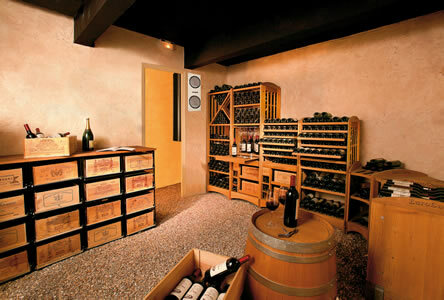 EuroCave Inoa Conditioners can transform any type of correctly insulated room into a functioning wine cellar. 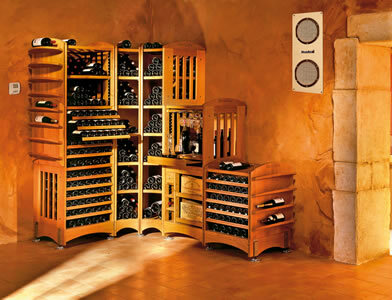 By continuously circulating cold air around the bottles it maintains the perfect cellar environment. The INOA heats as well as cools. The volume of the cellar must be more than 10m3. The information published in boxes 1 - 4 should read read by the installer prior to placing an order for an INOA. To be installed into a fully insulated room, material to have an insulation R coefficient greater than 2.66. Heat loss is normally measured by the thermal transmittance or U value, usually expressed in W/m2K. In its most basic terms, the lower the U value, the greater the thermal insulation. We require U value less than 0.35. The U value is the material's thermal conductivity (for example 0.021 W/mk) divided by the thickness (100mm thickness = 0.1 for the calculation). The thermal conductivity is stated on the product page of an insulation manufacturer’s website and product information documents. You can then convert any room into a real wine cellar. You can achieve equal to or greater than the required insulation (as described on our information sheet) using a variety of insulation materials. The materials should be plastics based and water resistant. Mineral wool is not suitable. The insulation should be installed on top of a damp course membrane. Suitable insulation materials of an appropriate thickness include: high-density polystyrene, Celotex, Super-trioso, Kingspan, Xtra-therm or Cellecta Yelofoam. Other costs you may incur include timber, plasterboard, brick, various consumables and the cost of the contractor. 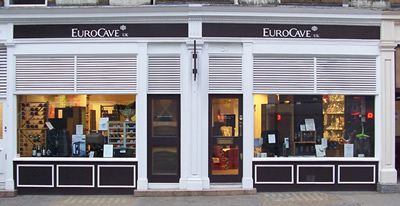 The quoted conditioning abilities of EuroCave Cellar conditioners are given on the basis of installation to a fully heat insulated area. 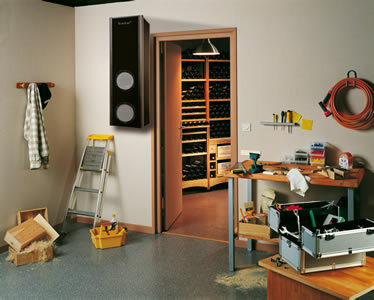 The Inoa generates 44dBA minimum to 65dBA maximum of noise measured at a distance of one metre.